Interview with Hugh Laurie (German) (Translation is below). 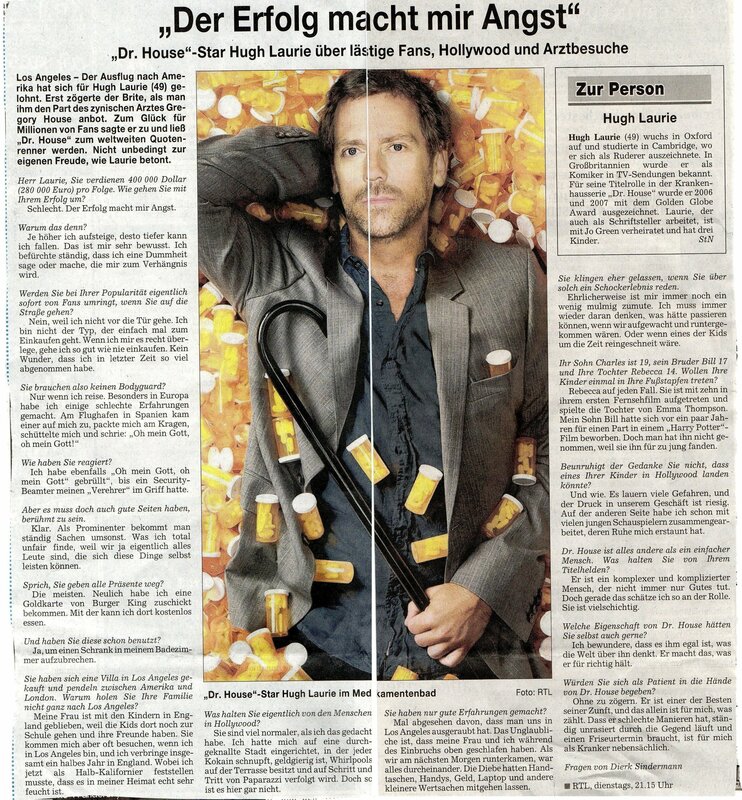 Interview with Hugh Laurie in our newspaper ("Stuttgarter Nachrichten) of Saturday 20th September 2008, where he talks about being famous, annoying fans (the really crazy ones), Hollywood and so on.. HD Wallpaper and background images in the House M.D. club tagged: house md house article. This House M.D. photo contains anime, comic book, manga, and cartoon. There might also be newspaper, paper, magazine, tabloid, and rag.